We are proud to offer our expertise in measuring & installing custom made window coverings including Blinds, Shades & Shutters. We do Draperies, Valance Boards & Swag as well. Most of the blinds and drapery tracks can also be operated by remote control systems. We are located in Chilliwack, BC and serve all over Greater Vancouver and the Fraser Valley. Monica started her apprenticeship as an Interior Decoration Installer in 1992 in Frankfurt am Main, Germany. After 3 years, she passed her official testing (Industrie und Handelskammer) and became a Journeyman in this buisiness, which shows in her installation skills of her work. Back in Canada in 2004, she worked for different companies in the Fraser Valley and Greater Vancouver Area. In 2004 & 2007, Monica joined the Hunter Douglas Professional Installer Program (PIP) and became a Professional Certified Installer. 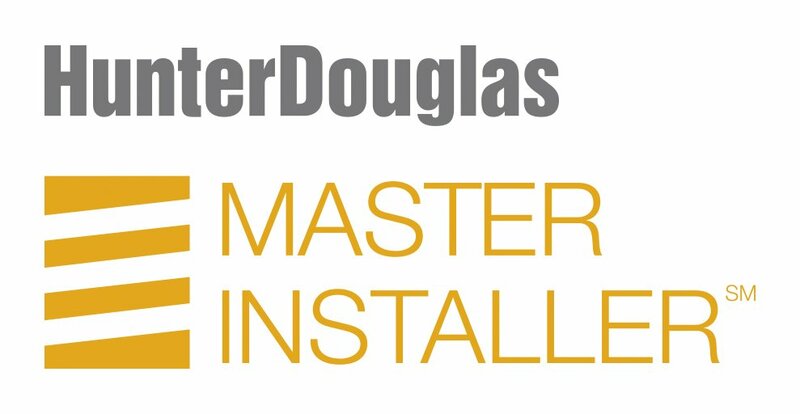 In 2013, she became Hunter Douglas Master Installer and updated her skills with the new PowerView Program in 2015 in Seattle, WA. Monica travelled to Phoenix, AZ and became also a Hunter Douglas Shutter Master Installer in 2015. Jochen worked for over 20 years for Regulatory Affairs with BAYER in Germany. He joined the business in October 2006 and became a Professional Installer with Hunter Douglas in 2007. Like Monica, he also passed his Hunter Douglas Master Installer Certification in 2013 and joined the PowerView Program in 2015 in Seattle, WA as well. He also became a Certified Decorator with Hunter Douglas in 2013, to get more information about the other side of the blinds business. Jochen is always up-to-date with the home automation systems by Somfy (MyLink) and Hunter Douglas (PowerView). Accurate Blinds and Drapes has been in the window coverings business in the Fraser Valley and Greater Vancouver since 2004. We supply custom made blinds and drapes, and provide professional installation services for private clients and professional decorators or designers. Book with us your In-home consultation anywhere in the Greater Vancouver Area. We'll show you a great selection of different blinds, shades, shutters and drapery fabrics and take care of the measuring and installation as well.